Have you Seen the difference at Stu's? See Why the 116 Big Bore Kit is the MOST Requested Accessory in the Parts Department! Featuring 20% MORE Horsepower and 15% MORE Torque, the Stage 3 Performance Kit provides INSANE Responsiveness with the all new Riding Modes! One ride shows you all you'll need to know! See the difference at Stu's! The CLEANEST Hyabusa on the Internet!! One of a Kind Custom Paint! Stu's Steal! Don't Be April's Fool! Tons of VALUE!! Don't Be April's Fool! By Riders, for Riders, and all about Riders is only a small part of what makes Stu's a special place! The moment we opened our doors in 2018, we surrounded ourselves with the very best professionals in the motorcycle industry. 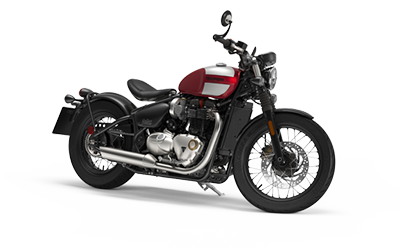 From our Gold Certified Master Elite Indian Service Department, to the Highest Level Factory Trained Triumph Technical Team, Stu's has hand picked the Men and Women committed to making your ownership experience the best it can be. But, it doesn't stop there. 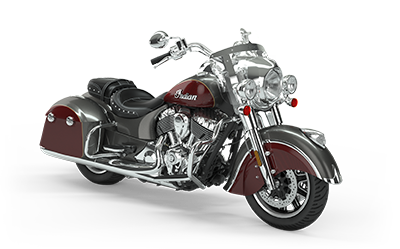 We carry one of the largest selections of Indian and Triumph Motorcycles in the U.S.A. If you don't see it, and you've got to have it, just let us know. Stu's is the place where motorcycle dreams come true! Our Parts, Gear, and Accessory Selection is beyond compare too! Thinking of buying online? Get it here and save the wait, all sizes, and great pricing! 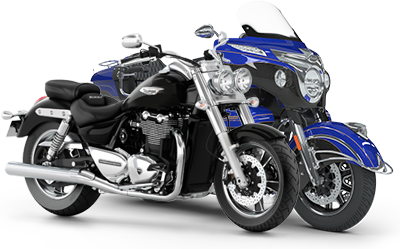 If three wheels is better than two for you, ask the Trike Experts at Stu's to show you the state of the art conversions, and help fit which one is best for you. We have great finance terms, trade ins are always welcome, and we'll buy your bike, even if you don't buy ours! We tell everyone, Come See the difference at Stu's!